Milkweed was designed and made over the hot and languid Australian summer months. Michelle has used vintage embroideries in the block centres, but you may use whatever you like! 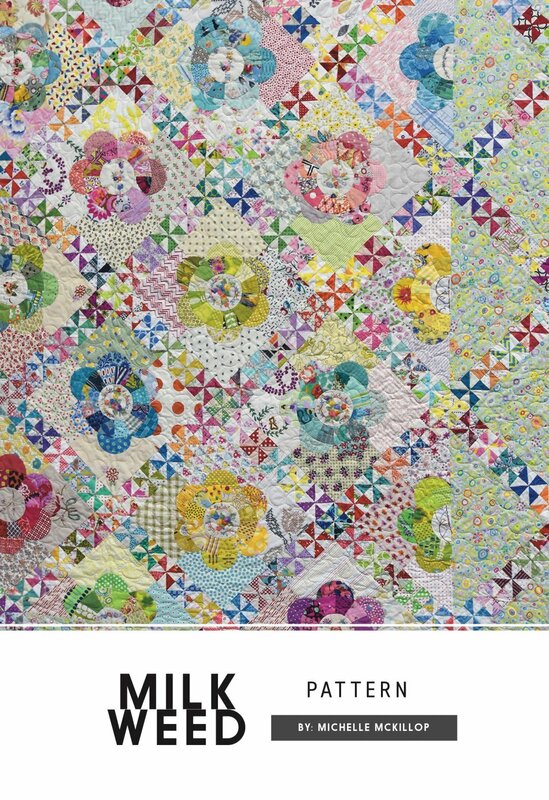 This pattern is written for a combination of methods including machine piecing and needle turn applique; however, makers can use which ever applique method they prefer.